Competitive Edge Products, Inc is pleased to present the brilliant Tanita WB-3000. The Tanita WB-3000 is the perfect model replacement for older model mechanical balance beam scales. Created for professionals, this scale is very long lasting and accurate. By breaking down into three pieces, the display, the platform, and the pillar, this scale is portable. Aside from weight, this scale also automatically calculates body mass index and is equipped with RS-232 and USB ports. 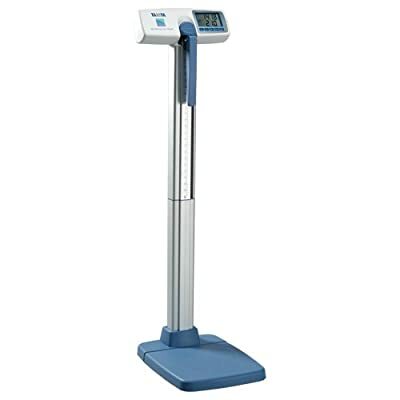 By including a mechanical height rod, this scale can also be used for height measurement. With a maximum weight capasity of 440 pounds, and an easy-to-read duel line LCD display, the Tanita WB-3000 is the best choice to get the most for your money. Tanita's WB-3000 digital beam scale is preferably fit for numerous expert markets (that include clinical and physical fitness), and continues to be the ideal replacement for the old mechanical balance beam scale. The scale includes an automatic body mass index (BMI) calculation and RS-232 and USB outputs to capture patient data to an external device. The extremely long lasting, yet portable, device can be quickly broken down into 3 modules - the display, the platform (which houses the tons cell), and the pillar - and is geared up with casters for simple mobility. The WB-3000 also includes a mechanical height rod, permitting patients height to be taken the exact same time as weight. The portability and modularity really different the WB-3000, and give health care experts a much better choice than basic beam scales. The WB-3000 represents a real expert grade scale for years of undisturbed operation.